It’s the beginning of 2019 and it’s already clear that there is a new line of “superfoods” currently on-trend, due to their believed health benefits. However, are these “healthy” food trends actually, well, healthy — do they really provide the incredible benefits people claim they do? Professor of Preventive Medicine and Division Chief of Nutrition at the Feinberg School of Medicine, Dr. Linda Van Horn, makes it clear that while many of these trends do not appear harmful, current research suggests they may not be as helpful to one’s health as they are widely believed to be. 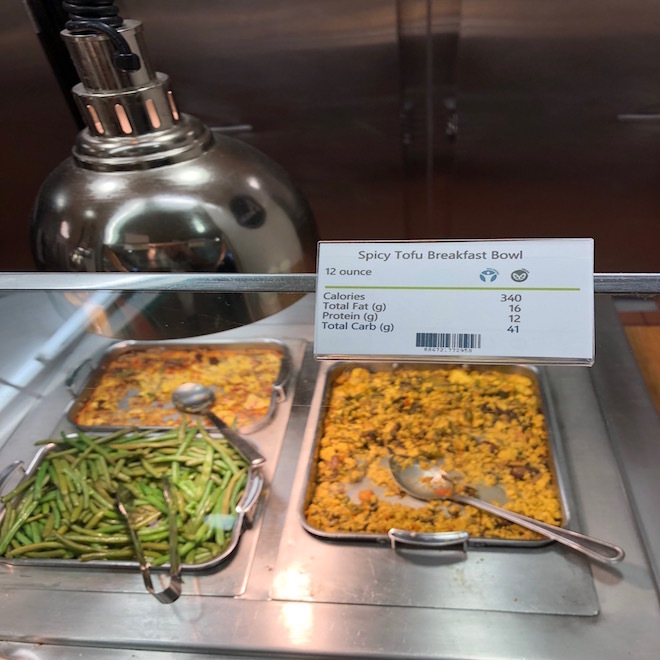 Here are some of today’s “health” food trends, where they exist near campus and the truth behind the benefits they are said to possess. Trend: Often found in various food and drink products referred to as “gold” or “golden”. According to WebMD, turmeric is a spice often used in cooking that contains a chemical called curcumin, thought to contain antioxidant and anti-inflammatory powers that help treat certain types of arthritis and even cancers. Where: Places near campus that follow this trend include Peet’s, with their Golden Caffè Latte and Golden Cold Brew Fog Latte, and Colectivo, offering a Turmeric Ginger Chai Latte or Frappe. 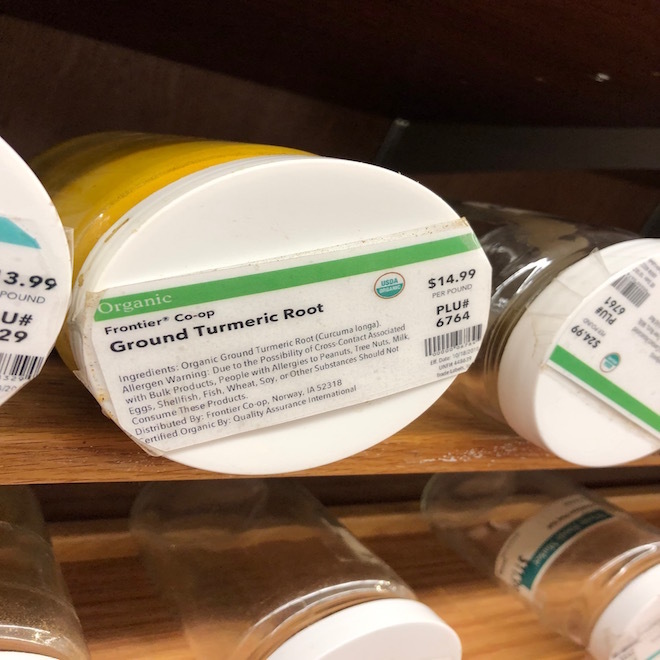 Trader Joe’s, Whole Foods and Target offer a variety of teas, beverages, supplements and vitamins with turmeric in them. Savor the golden hour with our ✨Golden Caffè Latte✨, aglow with a touch of turmeric, honey, and warming ginger. Back again for the season at your local Peet's coffeebar. According to the expert: “There’s nothing wrong with turmeric, but it would be premature to suggest that it’s a helpful and important additive to a good, healthy diet,” Dr. Van Horn says. While she is “happy to say” that turmeric is not harmful to one’s well-being, the health benefits that people attach to it are unfounded. “There is no data whatsoever at this point to suggest that, you know, adding turmeric to your latte is going to check off that box that says ‘Yep, I’ve done something for my health today,’” Dr. Van Horn says. Trend: Matcha is powder made from green tea leaves that contains antioxidants and caffeine. Some of these antioxidants, such as polyphenols, are thought to help guard against cancer and inflammation. The antioxidant catechin supposedly lowers blood pressure and cholesterol, thereby helping to prevent cardiovascular issues. 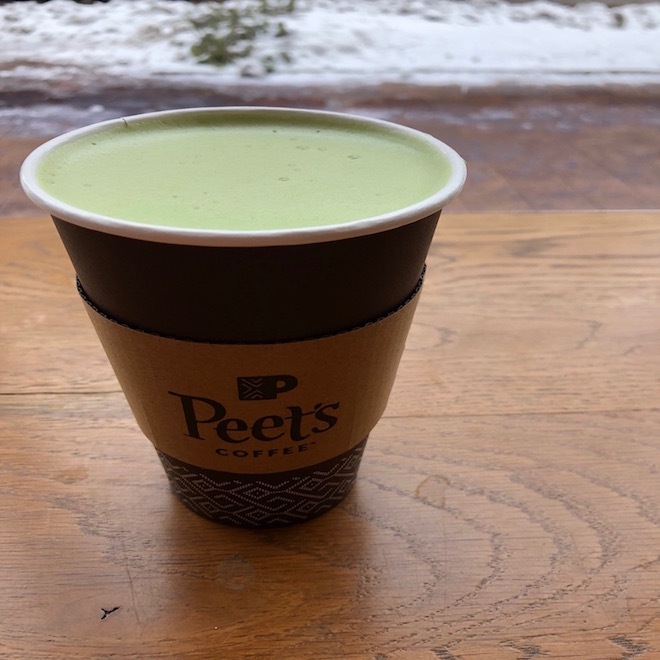 Where: Peet’s combines the gold and the green with their Golden Matcha Latte, as well as other matcha options such as Matcha Green Tea Javiva, Matcha Tea Fog and Matcha Green Tea Latte. Starbucks has a Matcha Green Tea Latte and Matcha Green Tea Crème Frappuccino. Colectivo offers a simple Matcha Latte. Whole Foods and Target sell matcha powders and teas, various ready-made matcha drinks and matcha chocolate. According to the Expert: Dr. Van Horn gives matcha the same verdict as turmeric — neither has been proven to be harmful, but there is no evidence so far that they provide any of these health benefits. Trend: This now relatively common drink is a yeast, sugar and black tea solution that is fermented to produce bacteria, acids and even a bit of alcohol. Many people believe kombucha has digestive, antioxidant, energy, immunity, weight-loss and anticancer powers. Where: Whole Foods offers an array of kombucha in flavors such as Lavender, Heart Beet, Chia Raspberry, Pink Lady Apple and Ginger-Lemon. Trader Joe’s also provides a smaller offering of its own kombucha brand. Kombucha Brava serves it on tap here in Evanston at their Custer Avenue location and in various other Evanston establishments. According to the Expert: Sorry to all the die-hard kombucha drinkers out there, but according to Dr. Van Horn, kombucha has not been proven to have any real health benefits. “There’s nothing wrong with it, but it’s not going to save your life,” she says. Dr. Van Horn also offers a few advisory notes on the bev. 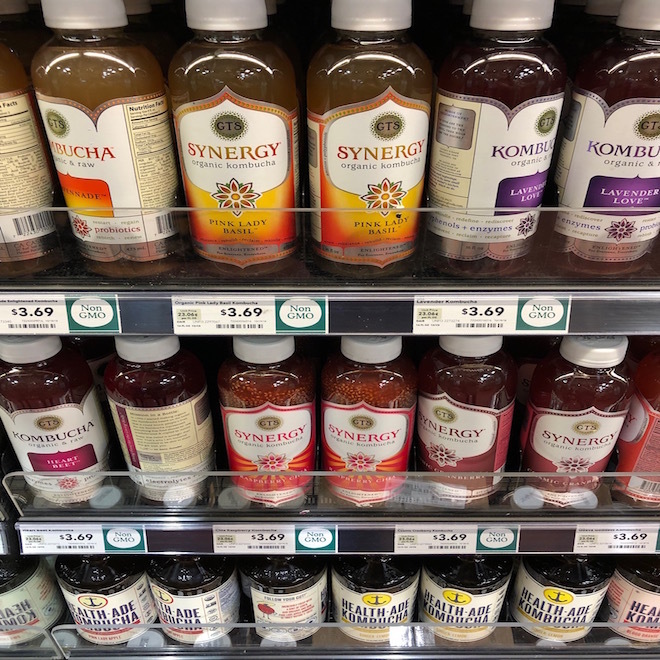 As stated previously, because it is fermented, kombucha contains alcohol, which she says is “one of the reasons people like [it].” The alcohol content varies among different types of kombucha, so she recommends checking before purchasing. Also, making it yourself is the ”biggest concern” Dr. Van Horn attributes to kombucha, as a batch made incorrectly can have some serious, detrimental effects on one’s health. So for those who do drink it, the safest bet is to is buy it from an official, regulated source. She also advises checking for extra sugar added to popular turmeric, matcha and kombucha drinks, which adds calories and makes the drinks less of a healthy choice. Trend: Coffee + grass-fed unsalted butter or ghee + coconut or palm oil = bulletproof coffee. This coffee elixir has been adopted by many moms and health gurus who claim it helps with weight loss, focus and feeling fuller. Where: While it appears that no coffee shops here in Evanston serve bulletproof coffee, there are locations in Chicago that do. Evanston home-bodies can also purchase the Bulletproof branded kind at Whole Foods, or just make it themselves at home. These additional ingredients are saturated fats, which “raise blood cholesterol” and “could in certain individuals, contribute to increased risk for cardiovascular disease,” she explains. Drinking coffee black, according to Dr. Van Horn, is “without a doubt” the healthiest way to take it. Trend: Lactose-free, soy, coconut, almond, cashew, rice, oat, etc. — it seems like nowadays alternative milk possibilities are endless for those who are vegan, lactose-intolerant, allergic to dairy, looking to reduce their sugar and/or calorie intake or simply don’t drink dairy milk. Where: Most of these “milks” can be found at any grocery store or coffee shop. 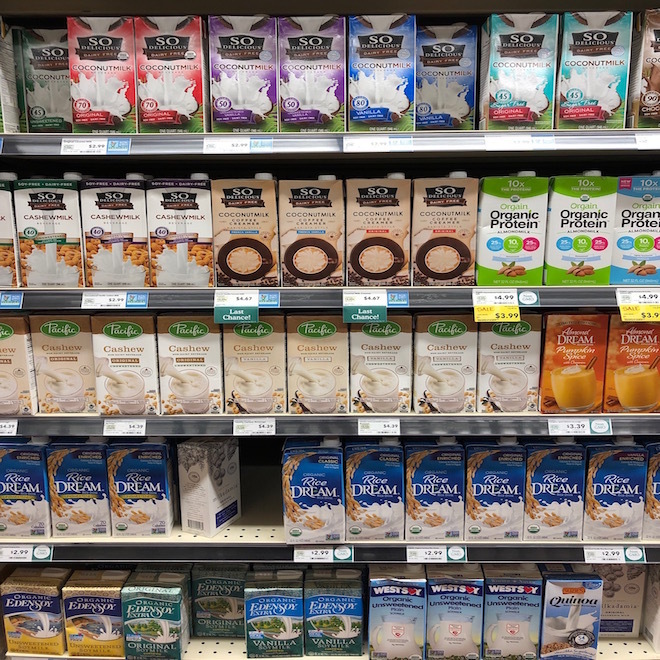 Whole Foods sells rice milk and Colectivo provides the option to add oat milk to any beverage. Heads up — alternative milks may come at an added charge in some coffee shops! According to the Expert: Dr. Van Horn says that alternative milks are relatively good options with only a few concerns. She says that alternative milks, “especially those that offer similar nutrients [to dairy milk] like calcium and magnesium,” are a “useful or a valuable alternative” for those who cannot or prefer not to consume dairy milk. However, she says that many of these alternatives unfortunately contain more sugar calories and/or less “valuable nutrients,” such as calcium, protein and vitamin D, than dairy milk does. Trend: Vegetarian, vegan and other plant-based diets are known for substituting alternative forms of protein, such as tofu, tempeh, seitan, mushrooms, jackfruit and legumes, for meat. Today though, it seems these meat substitutes are gaining a bigger spotlight, being used in new and creative ways. Many people are taking to these alternatives, believing that they reduce the risk of heart disease, type 2 diabetes and high cholesterol or blood pressure that a meat-inclusive diet may facilitate, according to WebMD. Where: Whole Foods, Target and Trader Joe’s, as well as our own campus dining halls and an extensive list of Evanston and Chicago restaurants, all have options for meat substitutes. Whereas lean meats such as chicken, fish and lean steak are good, healthy sources of protein, popular meats such as burgers, hot dogs, sausage and deli meats pose a threat to a healthy diet. Their high amounts of sodium, saturated fat, cholesterol and calories can lead to an increased risk of cardiovascular disease. It is for this reason, as well as the fact that “almost all Americans eat way more protein than they need,” that Dr. Van Horn says eating more plant-based meals and less meat-based ones would be beneficial to the health of both people and the environment. As for getting enough protein, she says that while “it’s not a one-to-one equivalent,” consuming any of these plant-based meat alternatives in combination with “another plant-based food like whole grains or nuts or other legumes” can supply a sufficient amount of protein in one’s diet. Trend: There are so many types of bars out there that provide a quick and easy solution for hungry people on the run. 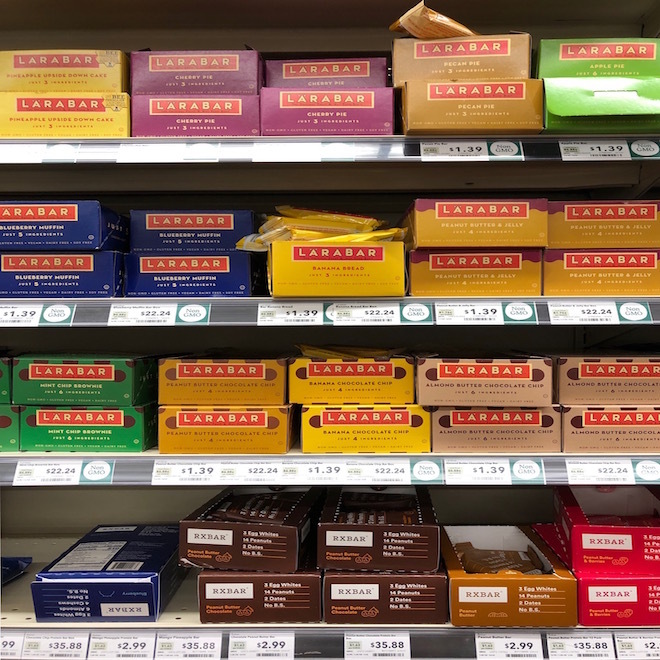 However, the high sugar and saturated fat content in many bars has led to a boom in bars made of simple, whole and natural ingredients, such as LÄRABAR, RXBAR and Perfect Bar. People opt for these bars as convenient sources of energy, fiber and protein without the extra fat and sugar calories. Where: Peet’s, Whole Foods, Target and Jewel Osco sell at least one type of these “healthy” bars. According to the Expert: “As a source of convenience, fine,” Dr. Van Horn says in regard to this trend. “There’s nothing wrong with (them),” she says, acknowledging that the simple ingredients make these types of bars healthier than other kinds containing extra sugar and butter. However, she says that there are still better sources — such as oatmeal with a bit of fruit — to get the fiber and other nutrients provided by the simple ingredients inside of these bars. Overall, many of these food trends that are believed to be healthy have proven neither beneficial nor detrimental to one’s health (turmeric, matcha, kombucha). Others are not recommended at all (bulletproof coffee). However, some of these trends are acceptable or even good additions to a person’s diet (alternative milks, meat substitutes, whole food bars). Dr. Van Horn wants to make clear the importance of people not relying solely on one spice, food, beverage, etc. to treat or prevent any health issues. "Game Hair Havoc": How helpful is the hype? What's the tea with the Starbucks truck?